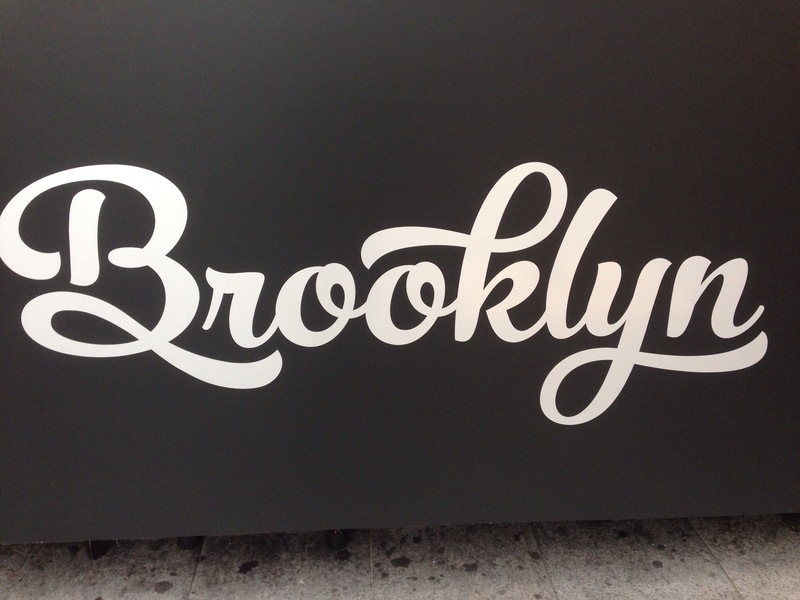 We were so excited when the The Brooklyn Lounge opened and we checked them out for dinner on their opening weekend. Even better, they also have just started offering weekend brunches from 7-12 with a hangover special after 12. It was a chilly day but it was still nice to get some fresh air outside. The coffee was creamy and served at a good temperature, it was borderline over extracted but they just managed to save it. Our first dish was the pulled pork eggs benedict. The pork had been well seasoned and had a nice tomato flavour, it reminded us of the sliced beef benedict at Typika. Hollandaise, eggs and meat, one of those combinations that just work. The eggs were perfectly poached, though we would have liked the hollandaise to be a little thicker. 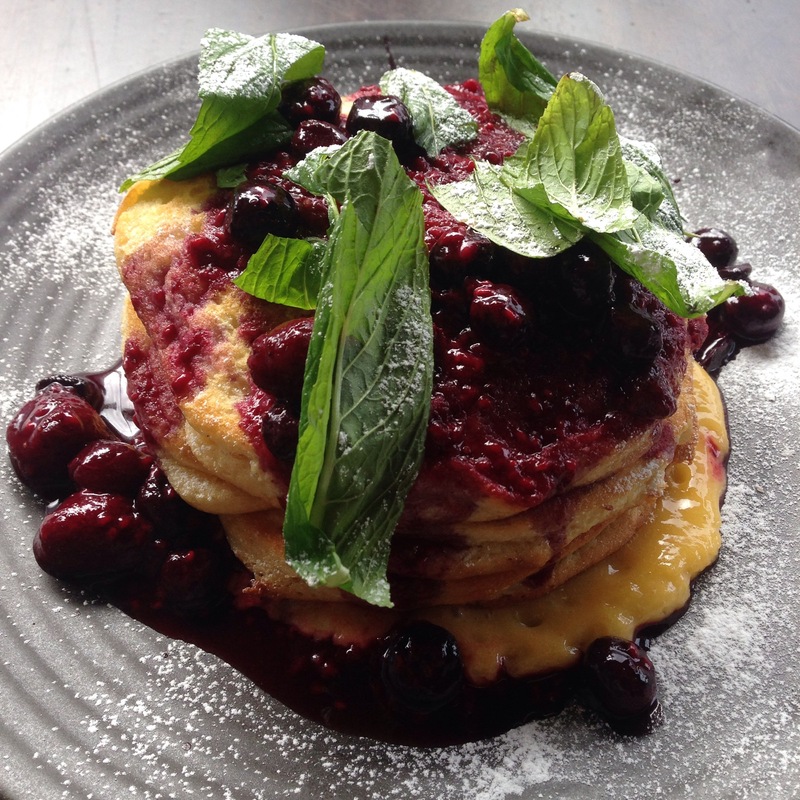 We also tried the lemon curd and blueberry pancakes, just one of their flavour options. The flavours were sophisticated, we’re big fans of lemon curd and this was that great mix of tart and sweet. The coulis was lovely with lots of plump blueberries and a nice offset to the lemon. The pancakes were a little dry, but the serve was generous with coulis between the layers of pancakes as well as on top. 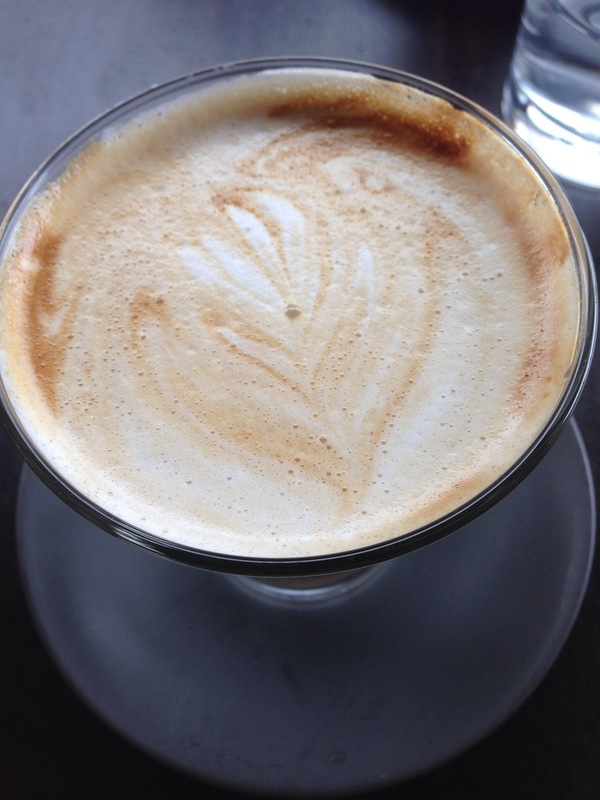 We really enjoyed the brunch menu at the Brooklyn lounge and its location near the quarter is a bonus. Next time you don’t want to wait in line at Typika go and check this hot new venue out! Loved your review. Photos of the food were mouthwatering. 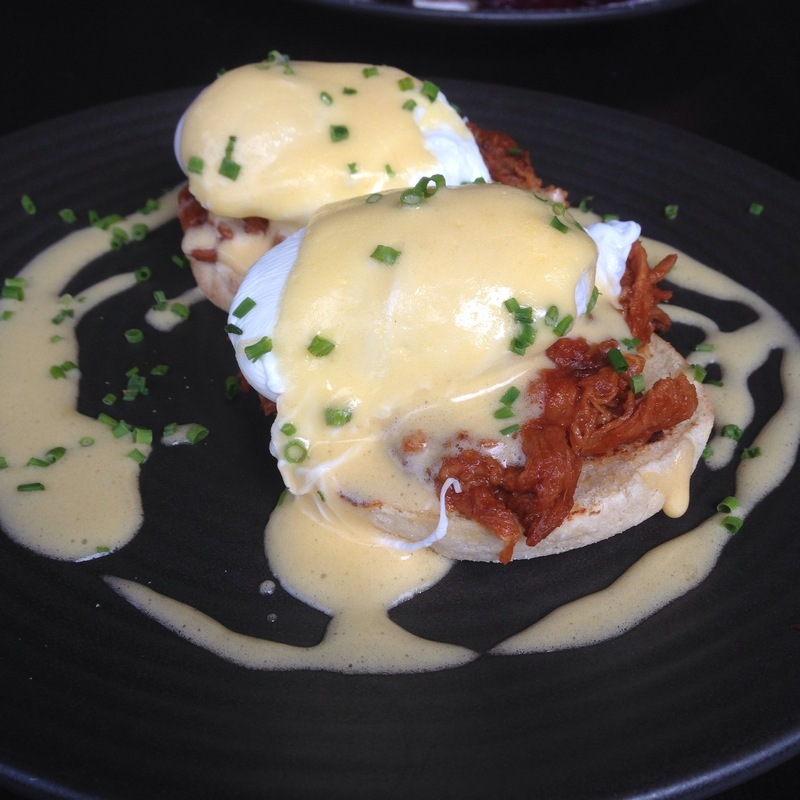 Holy mother of god, that Pulled pork Benedict looks so good. I am allergic to eggs but want to eat it anyways.